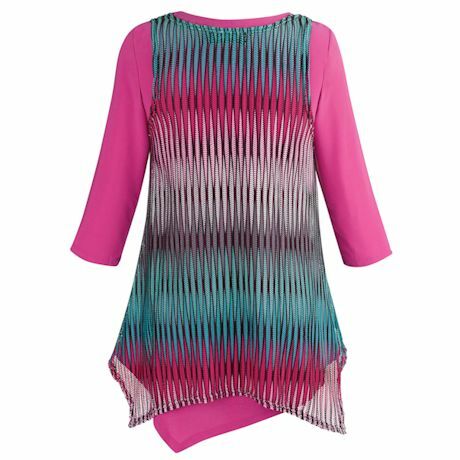 A prismatic print that smoothes out your figure, with the fun of flounce in the zig-zag hem. 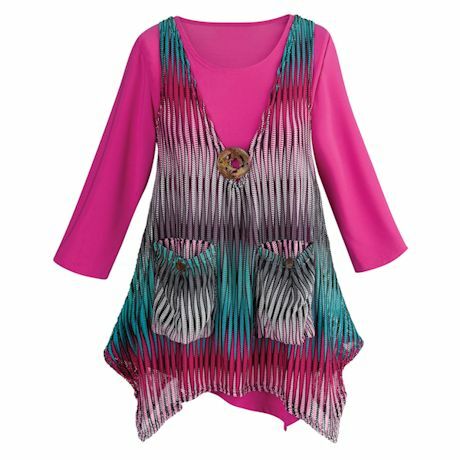 The super-versatile vest is great over its matching ¾-length sleeve pink tee, or wear it as a pop of color over black pieces. One oversized decorative button; two pleated-patch pockets. Machine wash. 95% polyester/5% spandex. Imported. S(6-8), M(10-12), L(14-16), XL(18), 1X(18W-20W), 2X(22W-24W), 3X(26W); 30"L.